A Baker’s cyst is a condition where joint fluid builds up behind the knee and causes a lump, or bump behind the knee. Excessive swelling of the knee causes this to happen, as the swelling increases the internal pressure of the knee and pushes fluid out of the joint into the space behind the knee. Baker’s cysts are painful, and this pain tends to worsen when patients in Los Angeles are active or fully flexing and/or extending the joint. You should talk to your doctor or an orthopedic specialist if you notice a swollen bump or experience pain and swelling in the area behind your knee. There is a possibility that a bump behind your knee is a sign of a more serious condition and not just a fluid-filled cyst. You might need arthroscopic knee surgery to fix the problem. Dr. Steven W. Meier has helped countless patients put an end to their serious orthopedic conditions through in-depth medical procedures designed to put an end to pain and physical limitations. Contact Dr. Meier for orthopedic services and sports medicine and schedule an appointment by calling 310.736.2793 or filling out the online contact form today. The reason Baker’s cysts develop is a result of the presence of a lubricating fluid known as synovial fluid within the knee. 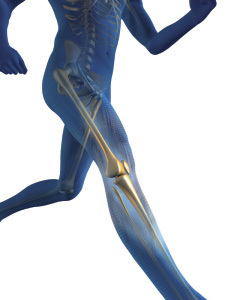 Like motor oil in a car engine, synovial fluid helps reduce friction in the knee joint and allows the lower leg to move smoothly. When too much of this fluid builds up in the back of the joint (usually within the popliteal bursa), a Baker’s cyst can form. Treatment for Baker’s cysts in Los Angeles typically involves treating the underlying knee problem. This will reduce the swelling and provide pain relief and increased function. Please note that these are similar symptoms to what patients might feel with a blood clot in a leg vein. If you experience swelling or redness in your calf region, contact your doctor immediately for a medical evaluation in case something more serious (i.e. possible blood clot or tumor) is causing your symptoms. A physical exam usually suffices for a Baker’s cyst diagnosis. However, because the symptoms of a Baker’s cyst are very similar to more serious medical conditions, the orthopedist might want to have some imaging tests performed, including an ultrasound or an MRI, to rule out all other possibilities, and determine what might be causing the Baker’s cyst formation. For more information on knee surgery and diagnosis, view ou orthopedic surgery videos at the Patient Education Center. Typically, when orthopedic doctors treat underlying knee conditions, Baker’s cysts clear up on their own. There are, however, treatment options to help reduce pain and swelling. Compress the area (e.g. your knee) with a wrap, sleeve or brace. Elevate the affected area (above the level of your heart) whenever possible, especially at night. Read more about Baker’s Cysts knee fluid build-ups from WebMD.com. 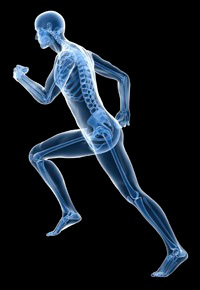 At Meier Orthopedic Sports and Regenerative Medicine, we specialize in treating joint problems. If you have a Baker’s cyst and want relief from your symptoms, contact our Los Angeles doctors today at 310.736.2793. Next, find out how Dr. Meier treats kneecap pain.